Made with loving care using traditional techniques handed down from the days of the establishment of NAGOMI-YONEYA, our Yokan has a beautiful color and luster and a deeply-satisfying taste. 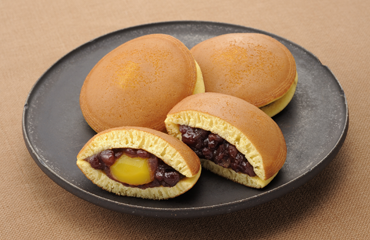 Sweet red bean paste is sandwiched between two layers of fluffy sponge. 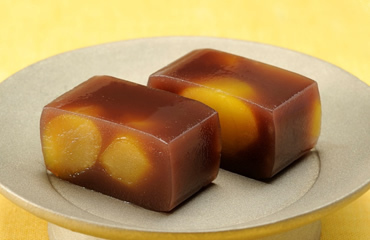 We offer two types throughout the year for your enjoyment: "Kuri (chestnut)" and "standard course sweet red bean paste." 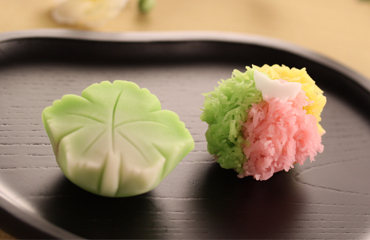 Cute peanut-shaped Monaka shells are filled with red bean paste kneaded together with a sweet paste made from flavorsome boiled peanuts. 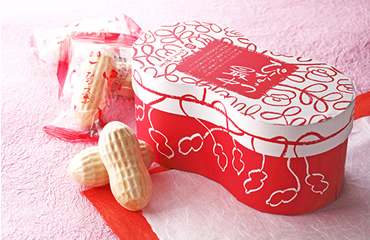 The peanut-shaped box is also a popular item that makes the product the ideal gift. Check here for information on our high-grade fresh confections and other popular items of confectionary.